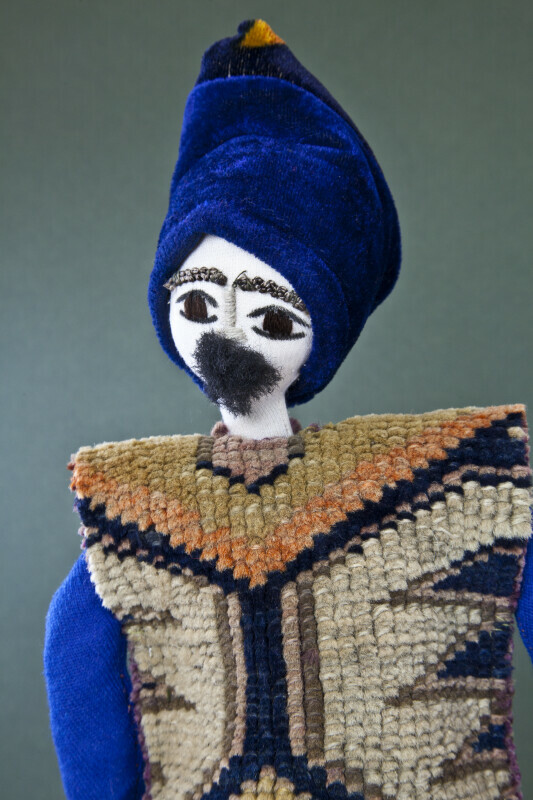 Hand made male stuffed doll from Armenia. He is wearing an Armenian hat made from felt. He has pants made from burlap, a long sleeved shirt and a vest of rug material. His shoes are knitted with wool. His face is embroidered, and he has a large mustache. Due to its geographic location, Armenia is often considered a part of Europe, Asia, or the Middle East. The figure stands 17 inches (43 cm) tall.